There has never been a book about Western New York's sports history quite like this one. It covers the region's rich legacy ... one day a time! Based on the popular Buffalo News feature, the book reviews the biggest sports events ever to take place in the area. 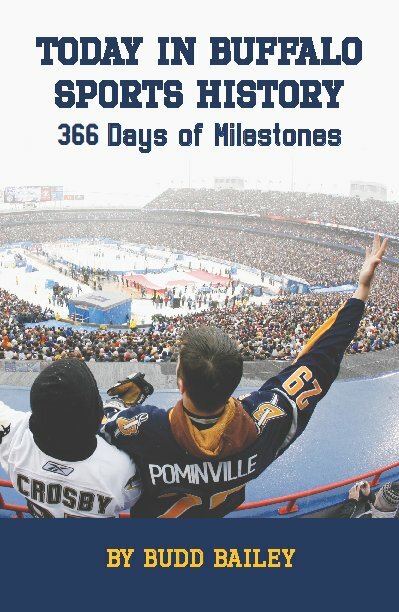 It covers everything from a world record back in 1862 to all the milestones involving the Bills, Sabres, Bisons, Bandits and Braves. The book also includes a couple dozen photographs that capture the excitement of some forgotten events. Budd Bailey is a respected sports reporter for The Buffalo News and a former radio journalist.